Citizen Eco Drive Bracelet Watch WR100 BM7090-51A Citizen Gent's Pepetual Calendar Watch with Eco.. The byword is versality for this handsome 3-hand Citizen Corso watch crafted in gold-tone stainless ..
A modern twist on a classic, this 3 hand with date timepiece will keep you effortlessly on trend no ..
Eco Drive technology (*never needs a battery) Stainless steel with gold-tone ion plating ..
Eco Drive technology (*never needs a battery) Stainless steel with gold tone ion plating case and b..
Axiom's refined yet sleek design offers a day-to-night fashion option for the avid trendsetter. 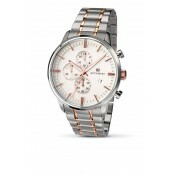 This..
Sporty yet elegant, the versatility of this timepiece make it the perfect addition to any wardrobe. .. Simplicity at its finest this Citizen Eco-Drive watch is styled in gold-tone stainless steel, a whit..
Casual, chic and a perfect accessory for any outfit from day to night. 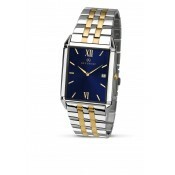 This classic timepiece featur.. 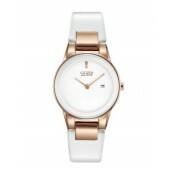 In continuation of a prominent ladies collection, the Citizen L Carina showcases a combination of al.. 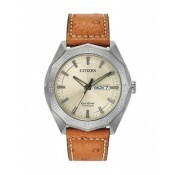 This timepiece encompasses all the opulence and style of the Citizen L series. Brilliant sparkling d.. This Silhouette with Swarovski® crystal and unique bracelet identify this as jewellery that keeps ti.. Chic, stylish and flawless, the Silhouette Diamond collection will accentuate any outfit from day to..
Eco Drive technology (*never needs a battery) Stainless steel with rose gold-tone ion pla..
Classic watch styling designed for the man of today. In stainless steel with a silver dial and date ..